Get Started for Only $100 Down! If you are struggling with overwhelming debt that never seems to go away, you do have options. Bankruptcy is surrounded by myth and has a negative connotation among most Americans, but the reality is that it can be an effective tool for finding financial stability. 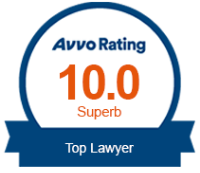 When it comes to your finances, we believe it's very important to work with a law firm that is backed by the right credentials and reputation. This is exactly what we have to offer at The Bankruptcy Law Firm. We proudly represent clients in Oakland, Alameda, Albany, Fremont, Berkeley, Hayward, San Francisco, San Leandro, and all throughout the San Francisco Bay Area and Alameda County. If you are experiencing financial distress, you can turn to our legal team for help! We can help you understand and determine if bankruptcy is right for you. If it is, our firm can walk you through the process of filing for either Chapter 7 or Chapter 13. Chapter 7 allows debtors to discharge (or wipe out) many types of unsecured debts, such as medical bills and credit card debt. Note that the debtor may be required to have certain assets liquidated when using this debt relief option. Meanwhile, Chapter 13 allows the debtor to pay off all or a portion of his or her debt over a period of three to five years under and reorganized repayment structure. We're dedicated to helping our clients turn their financial situations around so they can enjoy the financial fresh start that they need and deserve. We understand the stress that arises from financial problems. Fortunately, there is always something that can be done to improve one's finances, regardless of how grave the circumstances are.